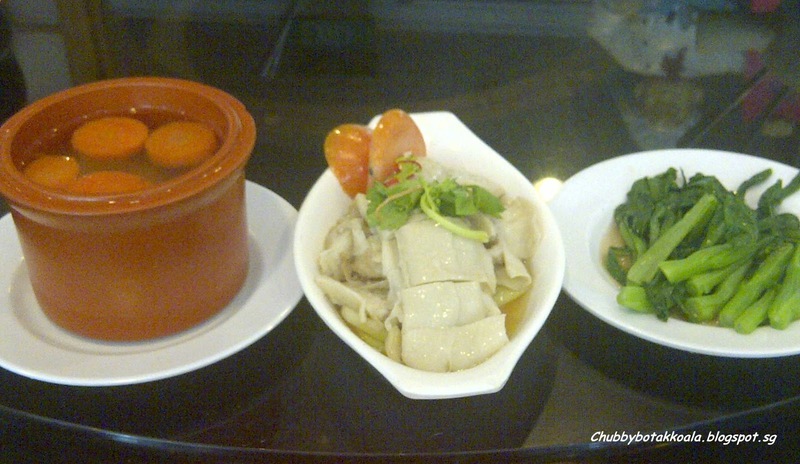 During the 2 weeks before CNY, the “Little Devil” was on Vegetarian cleansing for 2 weeks. So once in a while, we end up in a Vegetarian Restaurant. Lets just say it is also good for me to cleanse my body from too much meat. 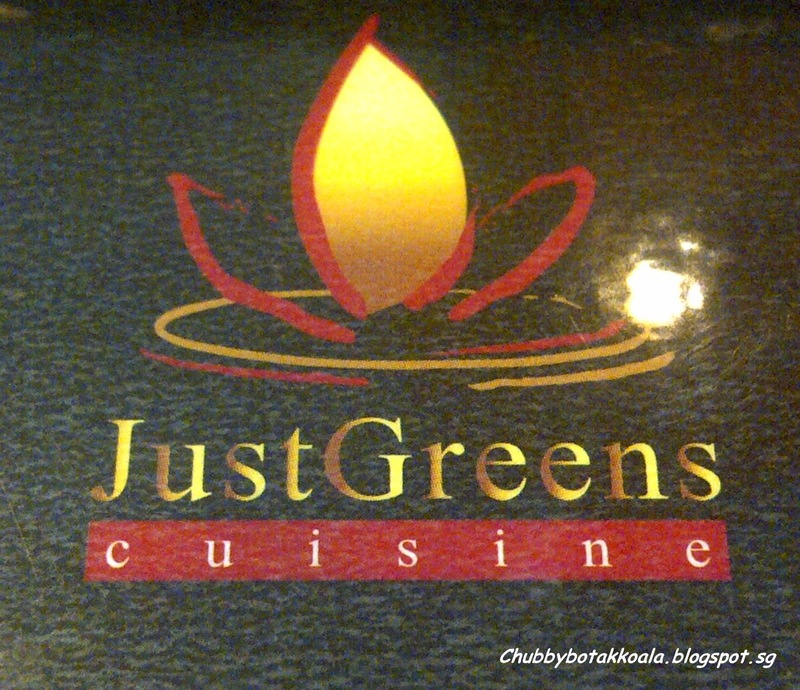 Just Green Vegetarian Food is located in Joo Chiat. Other than one of our favourite area for chowing, it is also nearby the Kwan In Temple that my other half and in laws like to visit. So after having a visiting the temple, we decided to have lunch at this vegetarian restaurant. For dining in, there are two options, one is a-la carte order and the other is you order from the pre-cooked meal they display on their counter. This time around, we go for the a-la carte. We ordered Chicken Rice Set meal ($5.50), Claypot Rice ($5.50) and Bee Hoon Soup ($5). First come the Bee Hoon Soup. They used the thick bee hoon. 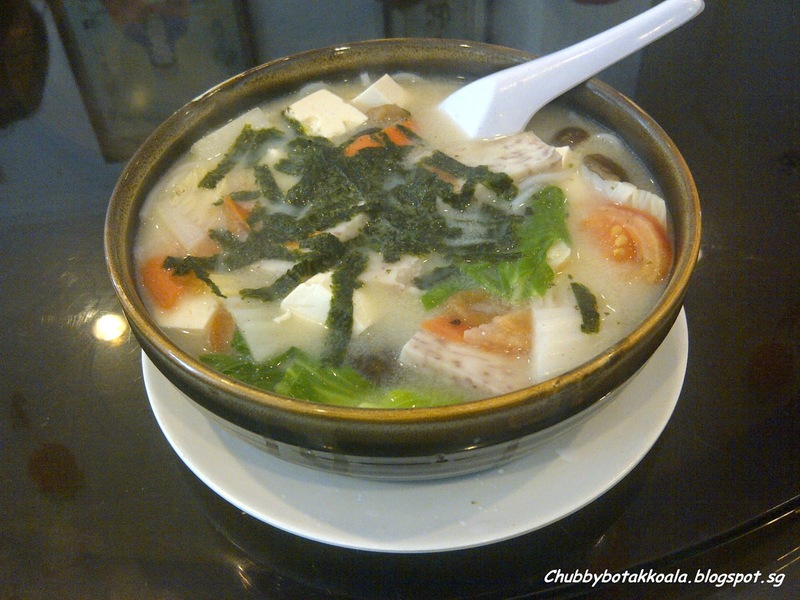 The ingredients contain yam, tofu, tomato, seaweed, mushroom and other vegetables. The soup is slightly milky white and full of flavour. For me the seasoning is just nice and the portion is huge. Next come the Claypot Rice. This dish actually took a while to come, around 15 to 20 mins. 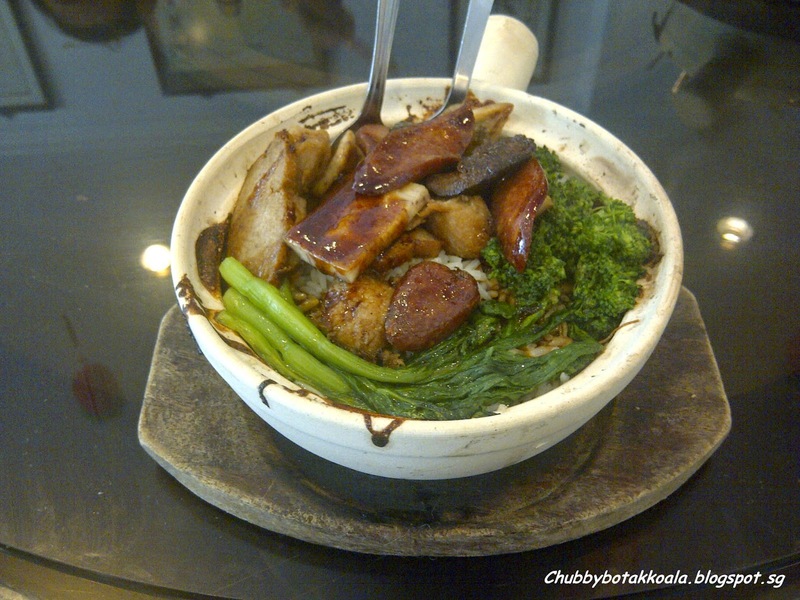 It is expected if you have ordered a claypot rice before. First look, you can't really see the rice as it is covered by the abundance of ingredients of mock meats and vegetables. 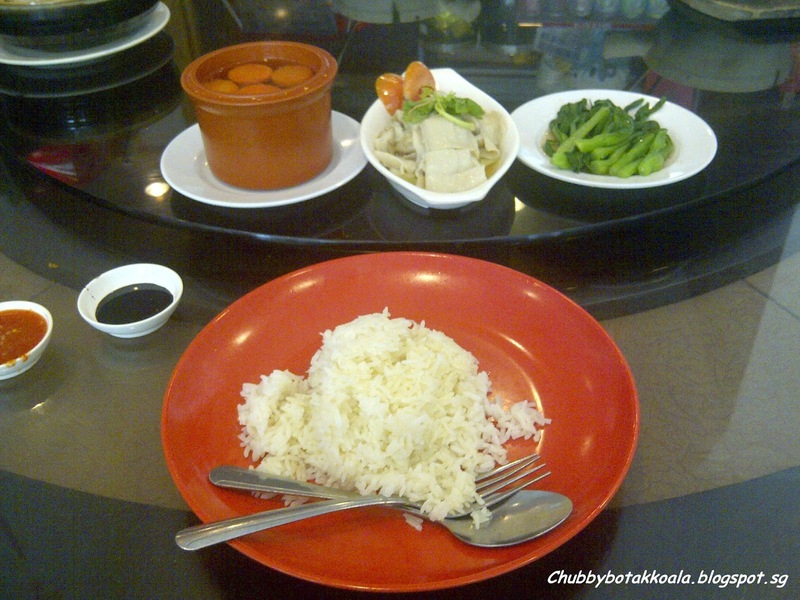 The dark sauce is great and complement the fragrant burnt aroma claypot rice. Closer to the bottom you actually has to use some strength to scape the rice crackers that stick to the claypot. Yummyyy!! The Chicken Rice is also good, but this is probably one dish that you can't replace for the actual thing such as Chicken flavour and garlic. The rice is more like a white rice with a little flavour. The mock chicken is very interesting though, it has a similar look like a chicken meat, starting from the skin to the meat. There is also a bowl of ABC soup accompanying the chicken rice. The service is quick and efficient, although the food comes quite slow, we waited around 15 mins before the first dish arrived. The restaurant is simply decorated with Buddhist posters. The price here is very low, and the food is abundance. Overall, it is a good dining place and value for money. Delicious !! !